While we chose to focus on the supernova bright spots in Seattle’s loss to Denver on Friday, plenty of people were dismayed by the poor performance of the offensive line. As we said the other day, don’t worry about it. 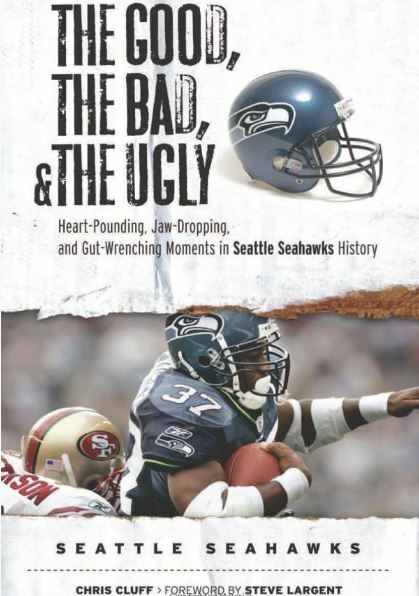 You have to remember these facts: (1) Seattle has an inexperienced group, destined to struggle early; (2) it’s largely the same group that the Seahawks had last season, when they reached the Super Bowl; and (3) the running game is mostly a product of Russell Wilson and Marshawn Lynch anyway. Rob Staton put together a nice analysis on the NFL’s problem in finding good linemen these days. 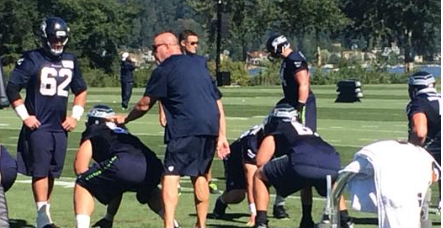 It piggybacks comments Tom Cable made this offseason about college ruining offensive players. For those who ask why the Seahawks don’t try to draft good linemen who are not projects, the answer is simple: The Hawks have been in poor draft position to get any of the few NFL-ready linemen over the past few years. They wanted a tackle desperately in 2013, but teams overdrafted the position — e.g., Kyle Long supposedly was high on the Hawks’ list in the second round, and he was picked 20th overall by Chicago. In 2014, the Hawks were so desperate for a tackle that they drafted mid-round prospect Justin Britt at the bottom of the second round because they knew he wouldn’t last past the third round (they didn’t have a pick in that stanza). This year, the Hawks reportedly tried to move up in the second round — either for a receiver or a lineman — and they ended up drafting three linemen on the third day instead. Without being in position to take any top linemen in the draft, Cable has been stuck converting projects such as J.R. Sweezy, Kristjan Sokoli, Drew Nowak, Kona Schwenke and Jesse Davis. Other than 2010 first-round left tackle Russell Okung, the Seahawks’ line has almost no pedigree and very little experience. It is a collection of Day 3 picks and undrafted free agents, so early struggles are to be expected. Britt, Alvin Bailey and the rest certainly delivered Friday, whiffing on a bunch of blocks both in the passing game and the running attack. It was clear to see why there is open competition at left guard: Bailey seemed lost at times, missing his man on more than one occasion. It was just the first preseason game, though, and Cable will get his crew figured out by the time the season starts. Remember, this is pretty much the same squad that helped the Hawks get to the Super Bowl last season. Everyone knows the Hawks’ running game is basically three men anyway: Cable, Lynch and Wilson. Cable develops athletic linemen in his zone scheme, Lynch breaks more tackles than any back in the league, and Wilson provides the read option wild card that has made the Hawks the top rushing team in the NFL. Wilson’s contribution cannot be overlooked. In 2011, while Wilson was leading Wisconsin to the Rose Bowl, the Hawks ran for just 1,756 yards. Lynch gained 68.6 percent of them. From 2012 to 2014, with Wilson helping Lynch, the Hawks have averaged 2,510 yards — twice setting the franchise record. Lynch has run for 4,153 yards in that span (55.2 percent), and Wilson has gained 1,877 (24.9 percent) — in other words, they have combined for 80 percent of the team’s rushing yards. 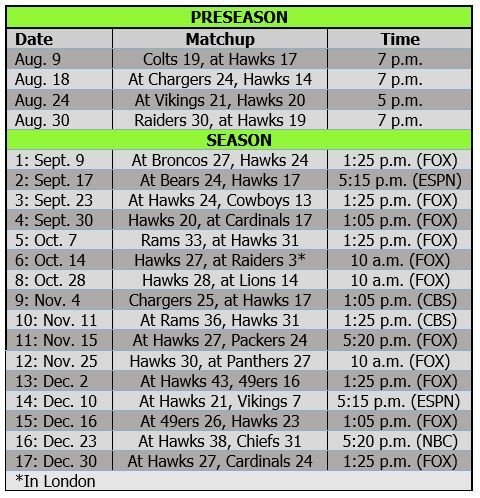 Sure, the running game will struggle early in the preseason, especially as the Hawks work inexperienced players in. And it surely will have some tough days during the season, too. 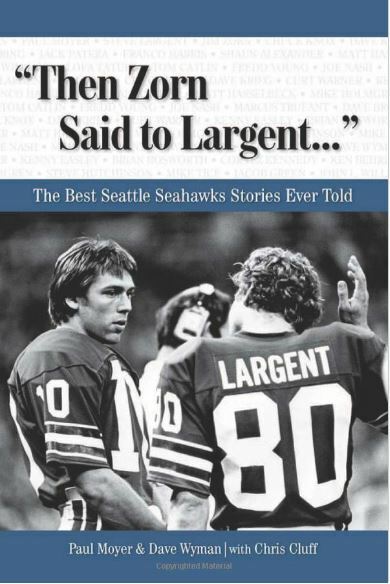 But you can bet — when all is said and done — the Hawks will be over 2,000 yards for the fourth straight year.